The Air Jordan 7 “Pacific Blue” also known as “Ceramic” released on April 15th, 2006 with a retail price tag of $135 USD. Dressed in a Pearl White, Bright Ceramic, and Pacific Blue color scheme. 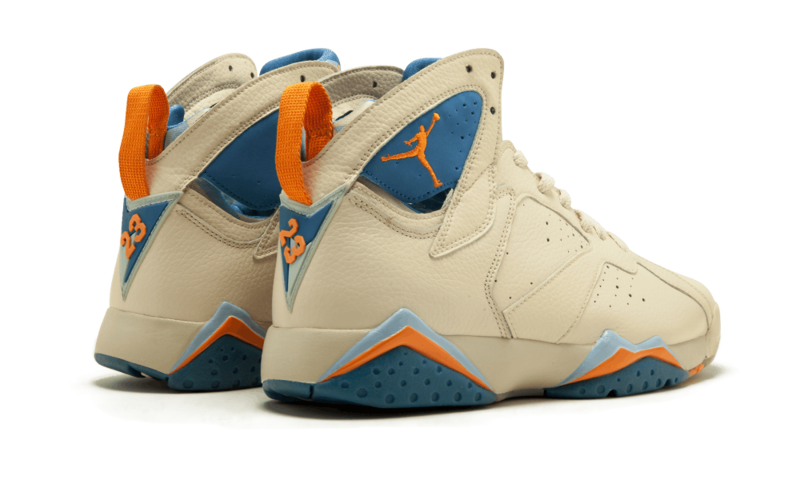 This Air Jordan 7 features a White leather upper paired with Orange and tones of Blue used as the accents throughout. A perfect summer shoe, should Jordan Brand consider re-releasing these sooner than later? Let us know your thoughts in the comments section.